CONTACT US for a free consultation in our office. 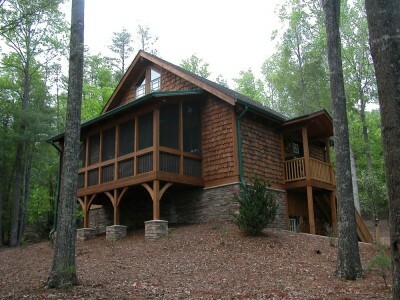 Mountain Construction built this Guest House at Black Forest on Lake James. 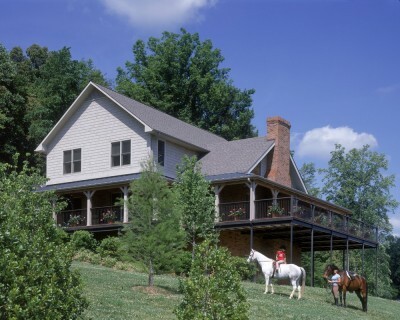 Mountain Construction provided the Timber Frame for this farm-house style home in Morganton, NC. 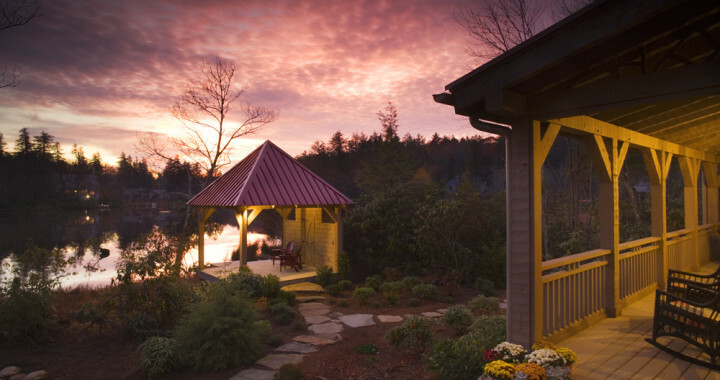 These homes are built on small private lakes. Lake James building guidelines have set back stipulations and other requirements that vary according to the location of your property. We practice the sustainable building practices especially important in lakefront building. Crescent Resources and your neighborhood architectural review boards. Bring us your unique vision. We can use a plan you have or help you design your perfect lake home. We also have worked with many designers and architects and can make recommendations. Our premier homes will outlast those of other homebuilders. Please contact us to see our work. You can reach us by phone at 828-963-8090, email us, or use our online information request form to let us know how we can serve you!